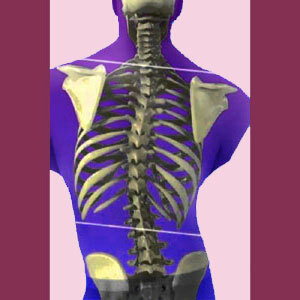 Chiropractic for scoliosis is a very popular conservative method of care used by many patients. Chiropractic remains controversial in its potential benefits for scoliosis patients, but is worth investigating, since it is safe and nonsurgical. It is vital to understand that much debate exists around this topic, so patients are cautioned to find objective resources for further research, since many informational citations are biased and based on financial motivations on both sides of the argument. As a long time chiropractic patient, I can call on my own experiences to provide a first hand look at the pros and cons of therapy when used specifically for scoliosis. Admittedly, my personal history with chiropractic was not the best, but it does provide some warnings that every scoliosis patient must understand. This dialog provides a comprehensive evaluation of chiropractic as a means of addressing scoliosis care. We will examine the pros and cons of chiropractic care and provide some valuable tips for patients who want to explore chiropractic adjustments as a means of treating their scoliosis. Chiropractic treatment consists primarily of spinal manipulation, called adjustments. These manual maneuvers are geared towards correcting subluxations in the vertebral column. According to the chiropractic definition, a subluxation describes an atypical positioning of a vertebral bone from its optimal place in the spine. Medical science does not subscribe to the idea of subluxations even existing according to this definition, while chiropractors make it the primary focus of diagnostic and treatment services. Some chiropractors also utilize special braces for scoliosis patients. These braces may be similar or different than those used during traditional scoliosis bracing programs which are managed by medical doctors. Many of the different styles of brace have limited research to support their use, adding more controversy to an already debatable therapy choice in chiropractic. In some cases, chiropractors may also utilize some form of decompression therapy to take pressure off compressed nerve tissues in the backbone and reduce pain. Since scoliosis can create neurological compression, this is a valid reason for treatment. This objective may involve basic chiropractic manipulations or more advanced practices like Cox Technic. Typically, significant scoliosis contraindicates patients from undergoing any type of modern machine-controlled decompression like DRX-9000, AccuSpina, VAX-D, Antalgic Trak or Hill DT. Chiropractic may provide a temporary reduction in curvature or may temporarily halt progress of spinal curves. There is no objective evidence to support permanent benefits in terms of slowing or reversing curve progress. There is ample evidence that many scoliosis patients enjoy symptomatic relief from chiropractic. However, there is no explanation universally embraced for this phenomenon, just like similar benefits provided to general back or neck pain sufferers. Chiropractors cite efficacy of treatment, while many skeptics cite placebo effect of treatment. We feel that both points of view might be very valid. Chiropractic might help improve functionality in scoliosis patients. We find this claim to be valid, since chiropractic, much like physical therapy, can help to maintain spinal flexibility. Chiropractic might be universally beneficial to scoliosis patients in this regard, but these rewards can probably be achieved using other methods, such as exercise and stretching, as well. Although some chiropractors claim virtual miracle results for all manner of health issues, there just is not much credible evidence to support chiropractic as a curative modality for virtually any condition. Scoliosis is definitely not an exception to this rule. Scoliosis patients may or may not receive symptomatic relief, but if they do, results are typically temporarily and only last for a day or 2. Some patients cite longer lasting relief of several days, while others say they are lucky to get a “few good hours” after a chiropractic adjustment. Therefore, even when benefits are provided, it is safe to say that these positive attributes of care are transient in their efficacy. While not a problem with every chiropractor, there are some care providers who utilize methods of care that remain controversial even in the larger and more open-minded chiropractic community for treating scoliosis. I was treated by several of these awful chiropractors in my time who did everything to recklessly force my spine back into place, including hospitalizing me on one occasion. It was not a good experience and did not provide any relief for my pain. In fact, it exacerbated it terribly! It is also worth mentioning that I was misdiagnosed by more than one chiropractor for scoliosis and placed into what was described as emergency treatment that went on for years when I did not even have scoliosis. My curvature was so small that is did not qualify for the definition of scoliosis and when I finally saw a medical doctor, I realized that I had been scammed by an unethical thief who was certainly not the best example of a chiropractic professional. Therefore, we can not help but advise all patients to seek medical attention for scoliosis first and only seek chiropractic treatment as an addendum to more regulated medical care.